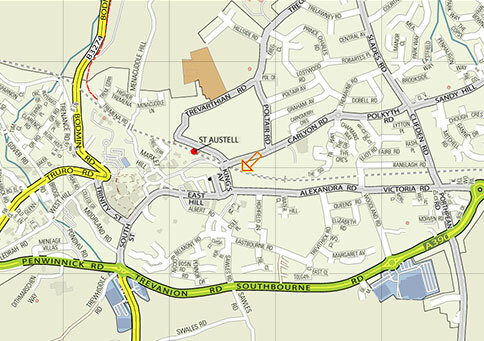 An Active Travel Map has been produced for St Austell. The map brings sustainable travel information including walking, cycling and public transport together in one place. It shows local amenities including green spaces, shops, schools, leisure facilities and how to get to them by foot, by bike or by public transport. The map contains a unique travel/time calculator which enables you to work out how long it will take to travel a journey by foot or bike. This is further information about cycle routes and facilities in the local area. 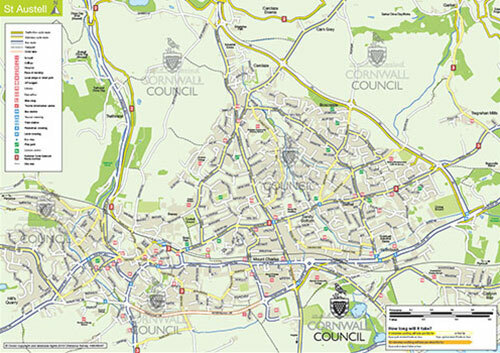 The map had been produced in partnership with Cornwall Council as part of the Access to Education project, funded by the Department for Transport's Local Sustainable Transport Fund. 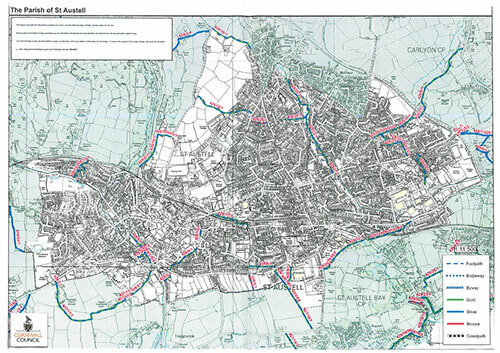 The map has been designed and produced by Sustrans in association with Four Point Mapping.